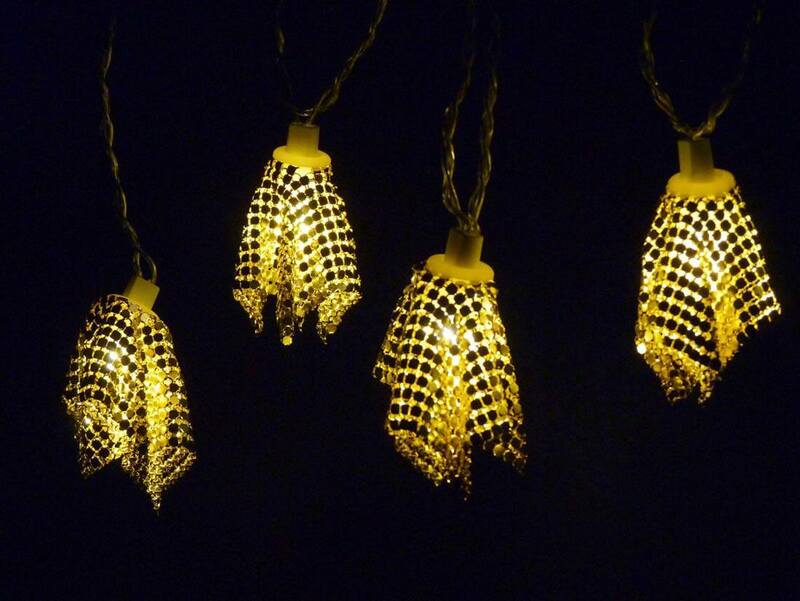 Bring some glamour and star quality into your home with these dazzling gold sequin fairy lights. Reminiscent of up-market Oroton wallets and purses these fairy lights have a luxurious quality about them. Ideal for dinner parties these lights even look lovely on the Christmas tree! 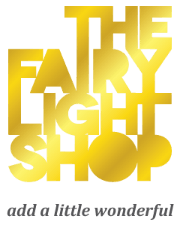 You will get enjoyment from these fairy lights all year around. 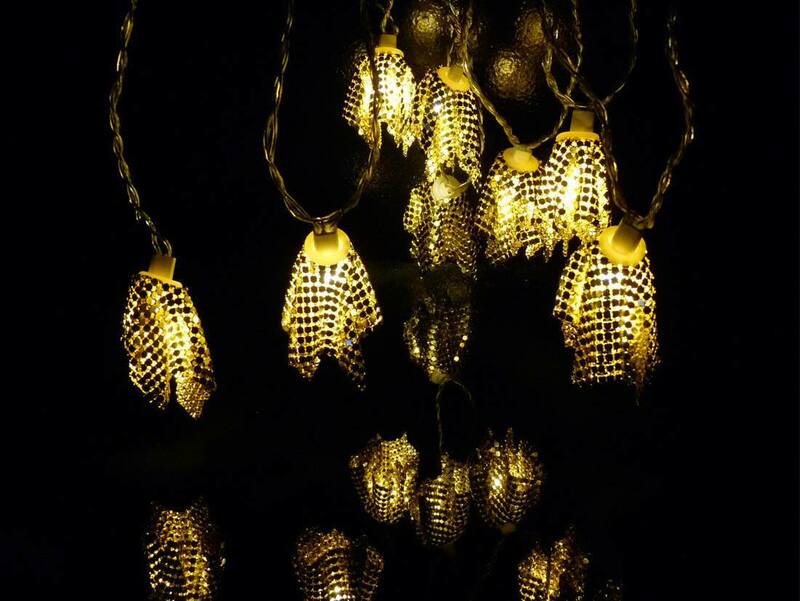 The warm white LED bulbs together with gold sequins create a stunning golden ambience.